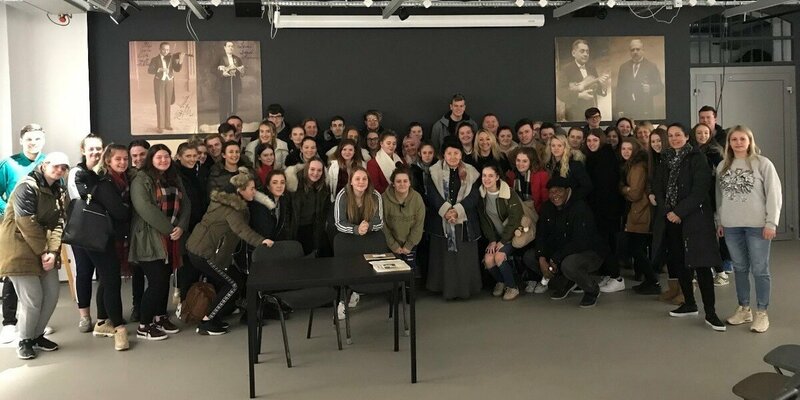 Our Public Services and Travel and Tourism students have been inspired by a trip to Poland. The students embarked on Auschwitz-Birkenau memorial tour and museum visit. They also visited the market square and historical Jewish Quarter. The highlight of the trip was a talk from a World War 2 Jewish survivor, Monica Goldvasser. Monica, whose parents bravely gave her up when she was just 18 months old in order to survive Nazi persecution, spoke about her survival. The talk allowed students and staff to reflect upon how privileged they are to live in a country and College community which places enormous importance upon values such as tolerance and forgiveness. Monica herself was also noticeably moved by the appreciation shown by the students.